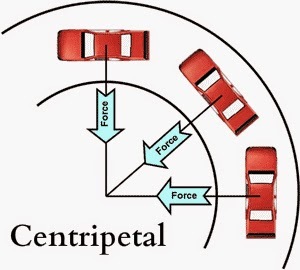 Centripetal force is the force required to move a body uniformly in circle, this force act along the radius towards the center of circle. 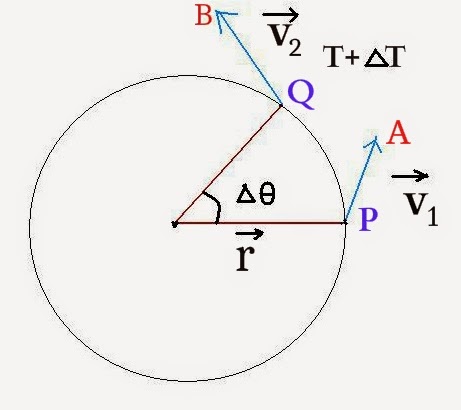 Consider a body of mass m is moving in horizontal circle with a constant speed v and angular velocity ω at time t.
Let V1 and V2 be the velocity vector at location P and Q respectively. 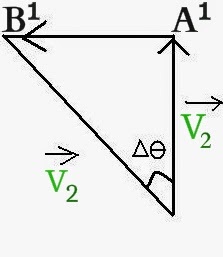 In vector of the body is always directed towards the tangent. In circular motion the speed of the particle remains constant. To calculate the change in velocity of particle in moving from P to Q in time Δ T.
For the calculation we take on external point P1 and we draw P1A1 and P1B1 parallel to PA and PB respectively. 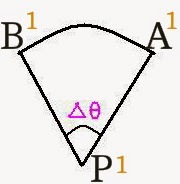 If ΔT = 0 then A1 and B1 comes closer to each other and the point can be contact by an arc of circle. If LT ΔV/Δt the instantaneous Δt = 0 acceleration at particle at point P which called centripetal acceleration.